The Yellow Control Wire is wired directly to the +ve Connection of the 24V Cranking (Donor) Battery to switch the Charger on and off automatically. 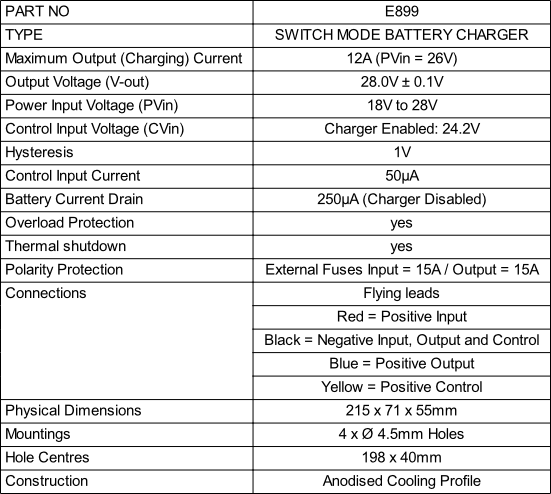 In this case the Control Wire senses the 24V Cranking (Donor) Battery Voltage and switches the Charger on only when the 24V Cranking (Donor) Battery is being charged. The Yellow Control Wire is wired to any +ve connection which becomes live when the Ignition is switched on. 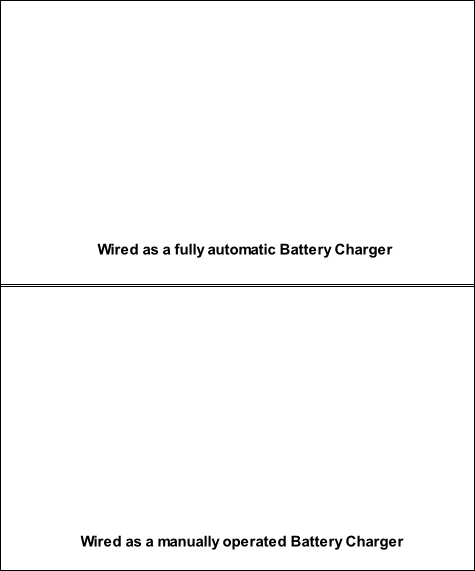 The Unit automatically controls the maximum charge into the 24V Leisure (Recipient) Battery preventing it from becoming over-charged / damaged. 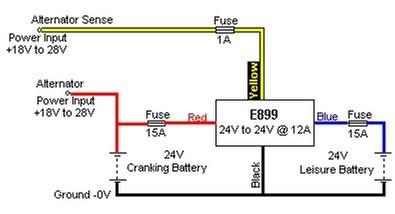 The Yellow Control Wire is wired via a Switch to the +ve Connection of the 24V Cranking (Donor) Battery to switch the Charger on and off manually.